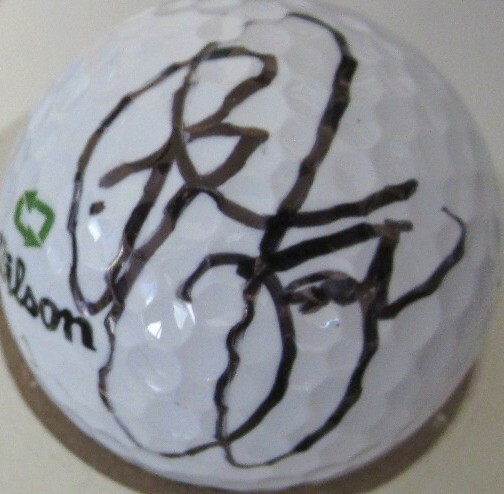 Golf ball autographed in black marker by PGA Tour star and 2010 U.S. Ryder Cup Team member Rickie Fowler. Obtained in person at Southern California PGA Tour event. With certificate of authenticity from AutographsForSale.com.